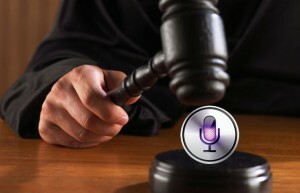 After just recently paying $60 million to own the iPad trademark in China, it looks like Apple’s troubles in that country are just beginning with a new legal challenge against Siri. Just days after settling the iPad case, another Chinese technology company has filed a complaint against Apple. They claim that the Cupertino-based company is infringing on their patented voice recognition software with the iPhone’s Siri function. According to a report on China Daily, Shanghai Zhizhen Network Technology Co Ltd developed a software called Xiao i Robot. The patent for the software was filed in August 13, 2004 and was granted in February 15, 2006. Siri, on the other hand, was a start-up company acquired by Apple in 2010 that started producing their namesake product back in 2007. Xiao i Robot is available on various operating platforms such as Android, Windows Live Messenger and Apple’s own iOS.